There’s nothing quite like a good lobster, and in Key West it’s available in all different forms. You can include your favorite crustacean from breakfast to dinner on the island. Check out our favorite lobster dishes found on the Conch Republic. Treat yourself to a real vacation breakfast with lobster benedict at Blue Heaven during “breakfast with the roosters,” served daily until 2 p.m. Honestly, once you try their lobster benedict, breakfast will never be the same. The whimsical spot has its own character — cats and chickens freely roam the premises, which was once home to Friday night boxing matches refereed by Ernest Hemingway. Blue Heaven has made a name for itself in the historic Bahama Village, but it’s worth the wait — which is to be expected. Their southern Caribbean fare also features full-flavored lobster grits if you don’t make it there in time for breakfast. If you’re jonesing for a real, New England style kind of seafood fix, check out DJ’s Clam Shack on Duval Street. Reminiscent of Maine roadside stands serving up lobsters, fried clams and chips, DJ’s has a wicked lobster roll served with coleslaw. The lobster roll has the good stuff too — filled with whole pieces of claw meat on a simple roll. If you’re strolling along the old docks of Port Bight, get a quick bite at Fisherman’s Cafe, which features lobster tacos enchilau made from Florida lobsters. The lobsters are seasoned and lightly fried, and the dish is made complete with sweet potato fries. Fisherman’s is a great outdoor walk-up, perfect for lunch. Less than two blocks from the Southernmost Point Buoy on South Street is The Lobster Shack, a quaint eatery with the best lobster grilled cheese on the island. The fresh lobster meat is served on challah bread with melty cheesy goodness. For $2 extra you can compliment it with bacon and jalapeno, which we heartily recommend. 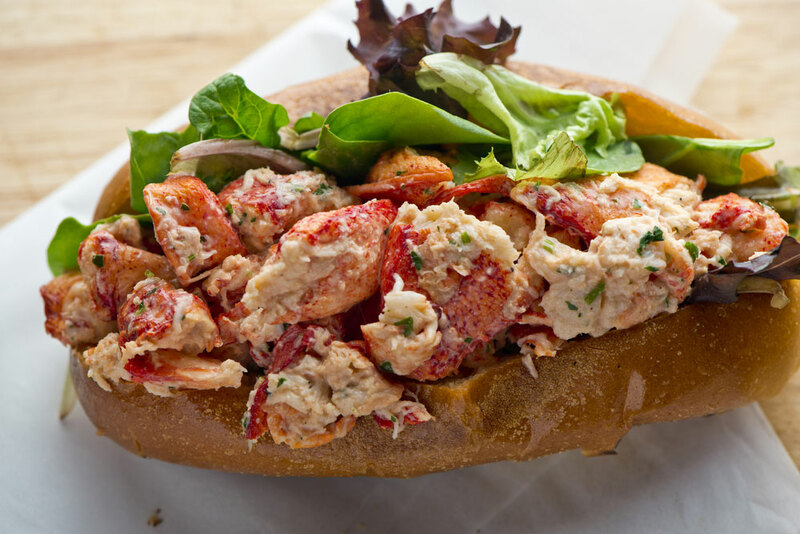 The Lobster Shack also serves up a mean lobster bisque, as well as the Key Lime Lobster Roll, with lobster cooked in butter, tossed with key lime juice and special herbs. Grunt’s Bar is one of our favorite hidden treasures right off of Duval Street. While simple decor may fool you, Grunt’s has a great fare and its lobster mac-n-cheese is like no other. You’ll eat the plate if you aren’t careful. There’s indoor and outdoor seating and live music on Friday nights. If you want a humble, relaxed night with a great lobster, this is your place. Ready to book ? Check out our specials here.